You might not know by their faces, but the Botox Cosmetic people are ecstatic about their 10th year as a Health Canada-approved wrinkle treatment. In the blink of a decade, Allergan has seen its flagship product go from a kooky idea — injecting a neurotoxin directly into a person’s head — to a multimillion-dollar juggernaut that’s literally changed the face of aging. 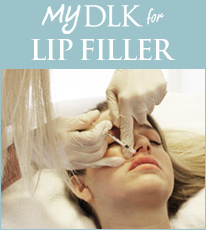 In fact, results of a recent Leger Marketing survey suggest nearly one-quarter of Canadian women are now open to injectable cosmetic treatments, helping explain why Botox Cosmetic has enjoyed double-digit growth every year since its 2001 debut. But no matter how impressive the returns, some say the social costs are exponentially higher. “People on TV keep getting younger and younger-looking, and faces appear like masks; signs of life are now seen as undesirable,” says Patricia Leavy, associate professor of sociology at Stonehill College in Massachusetts. Indeed, in a marked departure from childhood, the last decade has seen the idea of one’s face freezing in a certain expression become less a threat than an intriguing option. The American Society of Plastic Surgeons reports that 5.4 million botulinum toxin type A (such as Botox) procedures were performed last year in North America alone, representing a 12 per cent year-over-year increase. When done well, the procedure is virtually undetectable, save for a “refreshed” appearance. Industry insiders claim the perma-surprised expression that’s provided a decade’s worth of punchlines is the province of patients who’ve had poor doctors. “It’s like if a car goes into a wall; it’s not the car’s fault, it’s the driver,” says Dr. Lisa Kellett, a Toronto-based cosmetic dermatologist. Michelina Colombo, a 58-year-old daycare worker, had her reservations before going under the needle, fearing she’d look as if she “just came out of a wind tunnel.” But after a combination of Botox and dermal fillers (known as a Soft Lift), the Toronto woman found the tweaks to her appearance were happily subtle. “It’s not like I wanted to look 20; I just wanted to look less tired,” says Colombo, whose post-treatment experience has been one of people constantly undershooting her true age. In 2010, more than 11.6 million minimally invasive cosmetic interventions were performed in North America, with botulinum toxin type A leading in popularity. 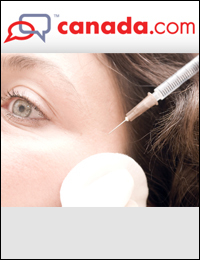 Restricting the picture to Canada, Millennium Research Group forecasts that nearly a quarter of a million injectable procedures will be performed this year, with projected growth of eight per cent by 2014. “It’s brought cosmetic procedures out of the hospital and into the salon,” says Cressida Heyes, Canada Research Chair in Philosophy of Gender and Sexuality. But in making it so easy to hold off nature, Heyes wonders if we’ve been afforded a dangerous sense of permission to forever look the way we feel. “I recently turned 40 and everybody said to me, ‘Oh, 40 is the new 30.’ And I have several friends who are turning 50, and people are saying to them, ’50 is the new 40.’ Well, what’s 70 then? When does it run out?” says Heyes, a professor at the University of Alberta. Leger Marketing recently interviewed 800 Canadians between the ages of 30 and 60 and found that, on average, there’s an eight-year gap between calendar age and age of desired appearance. Women in their 30s wished they could look five years younger, women in their 40s wished they could look nine years younger, and women in their 50s wanted to look a decade younger. For Janet Malloy, trying injectables was about recognizing herself again. But not everyone believes the fountain of youth lies within a syringe. And among those Canadians who say they wouldn’t consider injectables, 67 per cent say their top concerns are safety and side-effects — anxieties Allergan believes are reinforced in movies and on television. The underlying condition, of course, being natural aging. Trade projections suggest millions will be convinced by the David Copperfield-like before-and-after images of Botox users, whether on industry websites such as FaceInstitute.ca, in the pages of magazines or among their own friends and neighbours. But sociologist Leavy says if the drug is increasingly sought as a cure, it’s only because the drug-maker has turned aging into a sickness.